Have you ever wondered what people are thinking about while they’re waiting in the checkout line? I often wonder if people are having deep thoughts about the universe or the meaning of life. Maybe they’re thinking about a fight with a significant other or how Helena Bonham Carter seems to have more hair than the average person. If you are ever behind me in the checkout line, you can rest assured that I am not having deep thoughts. Here’s what went through my mind: maybe they’re sister wives? I bet that second lady is the newest wife and the first one is telling her how they do things. Lady #2 proceeded to put economy-sized cans of green and baked beans on the conveyor belt. Yeah, I bet they have a shitload of kids. Then I thought: wait, this is silly. I don’t think there are really that many Mormons in Oklahoma and there certainly can’t be very many polygamists. This is just not that plausible. So instead I thought: I bet they’re traveling. I bet they’re just passing through Oklahoma. Being the rational person that I am, I thought it more likely that these women were part of a band of traveling polygamists. I will go ahead and apologize now for my use of the phrase “band of polygamists”, but I’m really not sure what the appropriate term is here. I’m going to venture that there aren’t a lot of polygamists reading my blog anyway. They continued to load up their groceries and I continued to daydream about this family of sister wives and their gajillion kids. 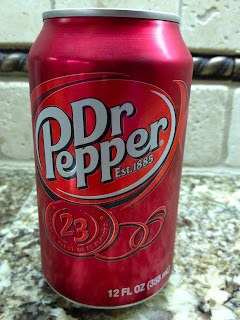 Then Lady #2 put Dr. Pepper on the conveyor belt. Well, that settles it. They can’t be a traveling group of polygamist because Mormons don’t drink caffeine. Sigh. Sometimes I worry about myself.